The Salvation Army used street marches to promote its ministry. Most comprised a brass band followed by a procession of supporters. Sometimes they got on the wrong side of the law. 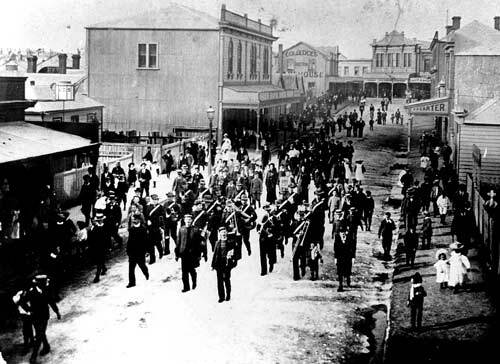 In 1886 the Napier corps were fined for marching through streets without a permit. The Salvationists refused to pay and were imprisoned. On release, they marched through the streets, singing to the accompaniment of the band – shown here.